The initial F-35 Joint Strike Fighter strategy was to develop two completely interchangeable engines manufactured by Pratt & Whitney (F135) and General Electric (F136). The STOVL propulsion system will consist of the core engine, a 3-Bearing Swivel Duct, Roll Nozzles, and a drive shaft connected to a 2-stage counter rotating Lift Fan. Engine thrust rated at 17,600 lbs, Roll Nozzle thrust rated at 3700 lbs, and Lift Fan thrust rated at 18,500 lbs. The Pratt & Whitney F135 family of advanced propulsion systems utilize cutting edge technology to provide the F-35 with higher performance than conventional fighter aircraft. The engine consists of a 3-stage fan, a 6-stage compressor, an annual combustor, a single stage high-pressure turbine, and a 2 stage low-pressure turbine. P&W is the propulsion system prime contractor for all three variants of the JSF aircraft. The F135 for the JSF evolved from the F119 engine that powers the F/A-22 Raptor. P&W will deliver the first production engine for operational service in 2007, and the F135 engine will cost 35% less to own than legacy systems (engines in service for decades). The engine will have three times the hardware and software reliability and will require 30 to 50% fewer maintenance technicians and 50% fewer airlift assets in deployment. The F135 is also designed to reduce the time for fault detection and repair by 94% and increase the time between shop visits by 225% over legacy systems. The technologically advanced F135 is an evolution of the highly successful F119 engine for the F-22A Raptor. Together the F135 and F119 will have logged more than one million flight hours before the F-35's introduction into operational service in 2012. The F135 propulsion system team consists of Pratt & Whitney, the prime contractor with responsibility for the main engine and system integration; Rolls-Royce, providing lift components for the STOVL F-35B; and Hamilton Sundstrand, provider of the F135's control system, external accessories and gearbox. The Pratt & Whitney F135 will be fully and physically interchangeable with the GE Rolls-Royce F136 engine to power the F-35 Joint Strike Fighter (JSF). The Pratt & Whitney F135 will be the exclusive power for the JSF's first flights beginning in the third quarter of 2006. The GE Rolls-Royce F136 engine was expected to flight test on the F-35 in 2010, with production engines available in 2012. This occurs during the fourth lot of F-35 aircraft production, which is very early in the overall F-35 production program. The Pratt & Whitney F135 family of advanced propulsion systems utilize cutting edge technology to provide the F-35 with higher performance than conventional fighter aircraft. The engine consists of a 3-stage fan, a 6-stage compressor, an annular combustor, a single stage high-pressure turbine, and a 2 stage low-pressure turbine. In 2001, Pratt & Whitney was awarded a ten-year $4.8 billion contract for System Development and Demonstration (SDD) to develop the F135 propulsion system through flight clearance, flight test, and qualification for Low Rate Initial Production. 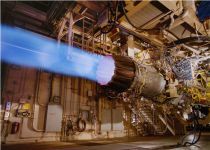 On October 26, 2001 Pratt and Whitney, Military Engines, East Hartford, Conn., was awarded a $4,803,460,088 cost-plus-award-fee contract for the design, development, fabrication and test of the F135 propulsion system and common hardware as necessary to complete ground testing and demonstrate conformance with specification requirements; the fabrication of propulsion systems for Joint Strike Fighter air system flight testing; and the fabrication of common hardware for the General Electric aircraft engines F136 Propulsion System Flight Test Program. Additionally, this contract provides for system test and evaluation, propulsion system program management, F135 integration management, engine interchangeability and common hardware integration management for the F133 propulsion system, repair development, support system design, development and implementation, a training and training equipment program, shipping system and module container design and delivery, flight test spare and repair parts, flight test support for F136 Propulsion System Program Phases III and IV and technical, administrative and financial data. Work will be performed in East Hartford, Conn. (72%); Middletown, Conn. (16%); West Palm Beach, Fla. (1%); and the United Kingdom (subcontractor - Rolls Royce) (11%) and is expected to be completed in April 2012. Contract funds will not expire at the end of the current fiscal year. This contract was not competitively procured. The Naval Air Systems Command, Patuxent River, Md., is the contracting activity (N00019-02-C-3003). Pratt & Whitney (P&W) completed the assembly of their First Engine to Test (FETT), on 12 September 2003. Known as FX631, the CTOL/CV engine was then successfully tested for the first time on 11 October 2003. The first F135 STOVL propulsion system test began on 14 April 2004. Since then several more engines have joined the test program. The F135 engines undergo testing at Pratt & Whitney facilities in West Palm Beach, Florida and at Arnold Air Force Base in Tennessee. The F135 is using the lessons learned from the F119 engine core and the JSF119 during the CDA stage to reduce risk in SDD. During SDD the F135 test engines will undergo a range of ground and flight tests to simulate various mission profiles. 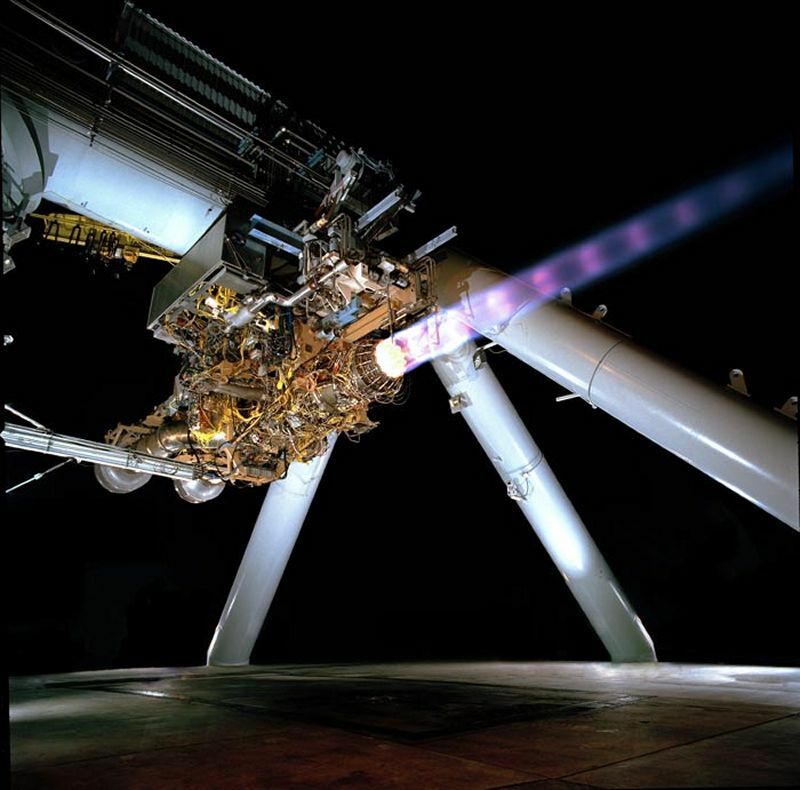 In these tests the system demonstration engines will be run for hours throughout various flight envelopes to ensure they meet performance requirements. One of the vital milestone tests occured at the end of 2003 with the first F135 engine to test. The first CTOL F135 engine test occurred on 11 October 2003. Early in January 2004, a significant milestone was reached when the F135 engine achieved the first Max Zone 3 afterburner run. In early April, a Last Bolt Ceremony was held commemorating the completion of the F135 STOVL propulsion system at P&W's West Palm Beach facility. 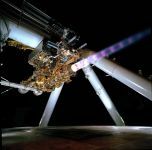 This was closely followed by the first SDD STOVL propulsion system initiating testing on 13 April 2004. By 30 April 2004, P&W had measured uninstalled specification- level STOVL vertical thrust on the C-12 test stand in West Palm Beach. On May 12, an F135 CTOL engine began its fi rst run at the Arnold Engineering Development Center in Tullahoma, Tenn., to acquire critical altitude engine performance data. In February 2006 the Pratt & Whitney division of United Technologies Corp. (NYSE:UTX), and Rolls-Royce plc signed a Memorandum of Understanding to define their future collaboration on the F135 propulsion system for the F-35 Joint Strike Fighter (JSF). The agreement, signed at Pratt & Whitney's headquarters in East Hartford, Conn., covers work on the Short Take Off and Vertical Landing (STOVL) variant of the F135 through the production and sustainment phase of the JSF program. Rolls-Royce brings decades of STOVL experience to this program. Under the agreement, Rolls-Royce will maintain its current lift system component responsibilities beyond System Development and Demonstration into production and sustainment. The work has the potential to bring billions of dollars in new production and spare parts sales to Rolls-Royce over the life of the program. Rolls-Royce produces the LiftFan, Three Bearing Swivel Module and Roll Posts as a subcontractor to Pratt & Whitney. 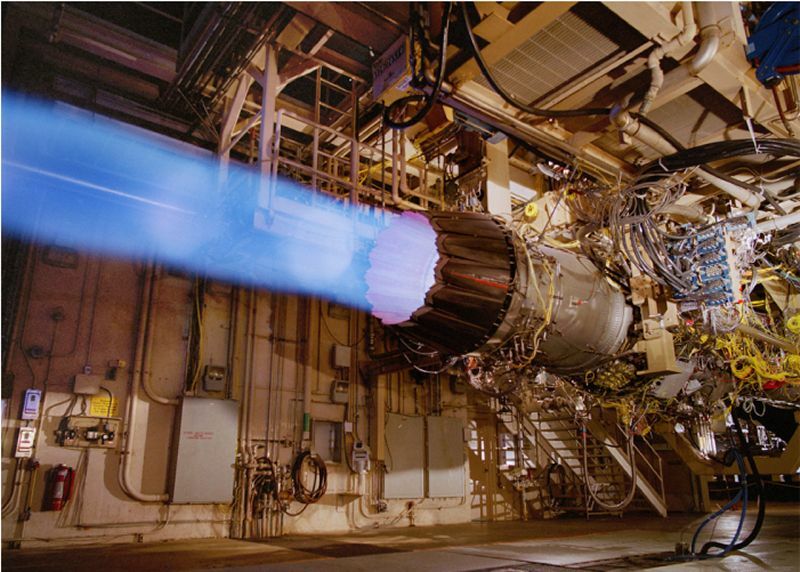 By early 2006, F135 ground test engines had accumulated more than 4,500 SDD test hours.